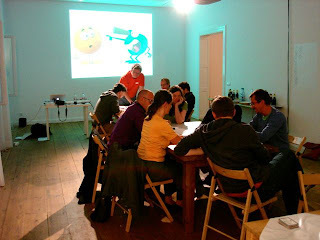 At the first Agile Game Lab in Berlin, which I am organizing as a regular event together with Stephan Schwab, we had chosen the historical Beer Game and the new Blame Game (1) that just emerged from the last game incubator (2) hosted by Agile Holland (3). The Blame Game is pretty simple yet powerful to experience what different reward system can do to a group. 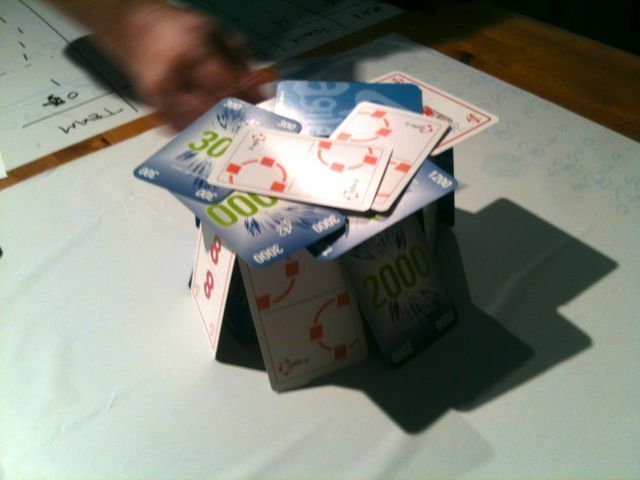 In the game a group builds a house of cards and uses two different reward systems for making progress. On collaborative where the whole group wins, when a card is added or looses, when the house falls apart. Erwin suggests in his blog (1) to play different rounds with the same group but changing reward systems. We modified the rules, so that one group used the collaborative and another the competitive reward scheme without knowing about the other and played several rounds with each group - round ending when card house collapsed. After 45 minutes we joined to tell stories and share insights. Both groups had a different size and gender mix, so don't call this experiment scientific. Still it was amazing how different the stories where. In the competing group did not take much care about how often the card house collapsed. Player were not taking into account how the next player could add a card after one self put her card on the house. Their card house evolved flat and was shabby compared with the card house of the collaborating group. The collaborating group actually invented ways to make the house more robust by adding thicker walls consisting of multiple cards. 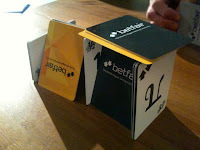 They discussed how to improve the card house while the competing group did not do any planning or designing. A framework (4), that I came across for a while - thanx to Christoph Oberle for sharing - seems to make some sense of the situation. 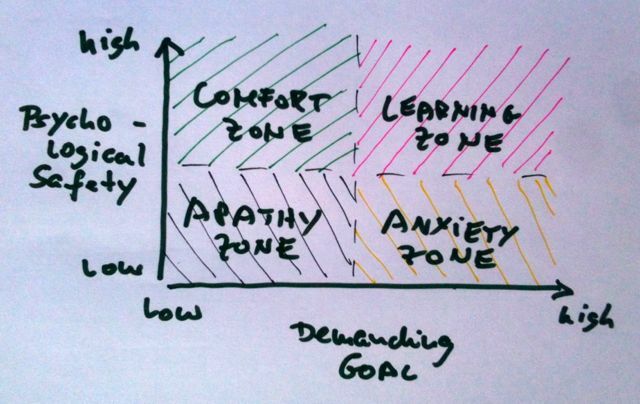 Obviously the competing model and the collaborative reward system differ in the psychological safety they create. 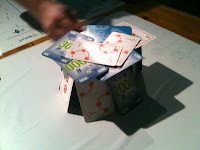 The bond that emerges between people who share the goal of building a card house did not emerge in the competing model. It's a bit far-fetched to talk about Anxiety or Apathy but it was obvious that the collaborating group had more fun. Insights: It was good to have at least two groups play independently and more than one round with the same rewarding scheme. It would be interesting to play for a longer period of time and see how this changes behavior in the group. Then use story telling for the debriefing and try to find frameworks to make sense of what happened. I would limit the building ground to force card houses to grow higher but not add any other constraint for building to allow for maximum creativity. Would be interesting to play with additional challenges, like beauty contest of card houses or even add a Product Owner to tweak the goal axe of the game. Sad, that we missed to systematically capture the house designs to use in debriefing. 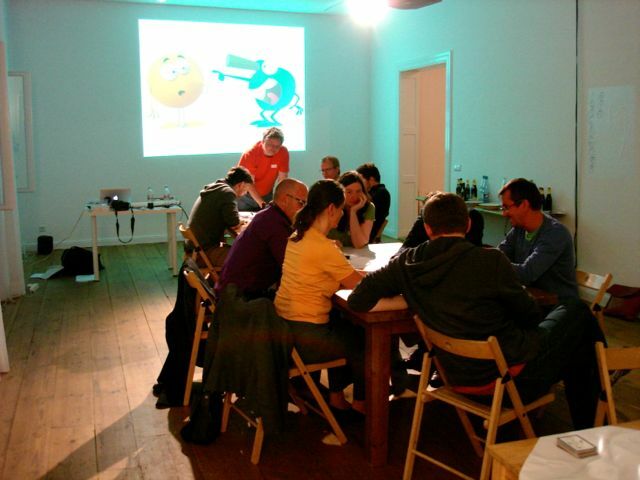 If there are many people at the Agile Game Lab I would ask people to act as observers, interesting to hear their voice in the debriefing too. And last but not least Blame Game makes good use of all the branded planning poker cards that we don't need anymore. 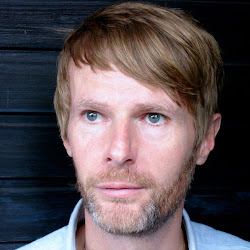 Location: KW Institute for Contemporary Art – KUNST-WERKE BERLIN e. V.